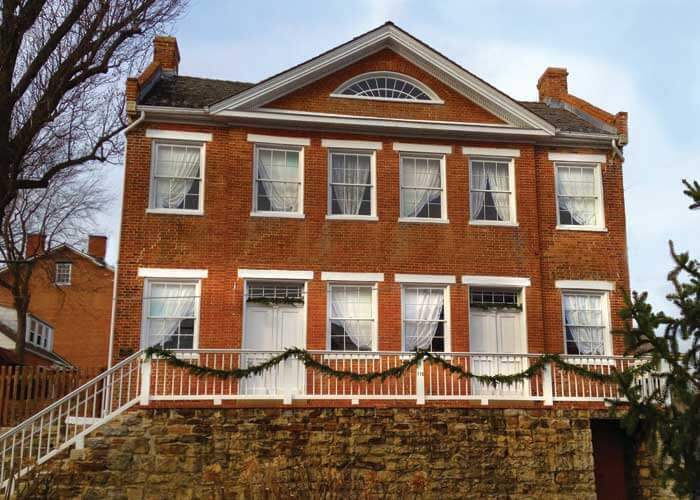 Celebrate a traditional 19th-century German Christmas at Deutschheim State Historic Site. 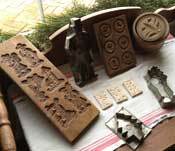 Springerle molds are among the items for sale at the Deutschheim Christmas shop. Weinachtsfest, a traditional German Christmas celebration, is held annually the first two weekends of December at Deutschheim State Historic Site. Hours for this free event are 10:00 to 4:00, Saturday and Sunday. On Weihnachtsfest weekends, the Pommer-Gentner House, circa 1840, is decorated with greenery and lit by lamplight. 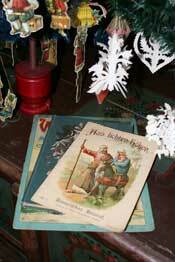 Its historic rooms feature Christmas trees decorated with authentic German ornaments. Visitors are invited to sample traditional German Christmas cookies, including Springerle, Lebkuchen and Zimmerschied, and to learn how Christmas customs of the German immigrants became American traditions still celebrated today. The Weihnachtsfest gift shop features springerle molds and rolling pins, recipe books, imported German pop-up cards, and a selection of unique books for Christmas gift giving. Weihnachtsfest decorations at Deutschheim include a hanging tree and authentic scherenschnitte and blown glass ornaments. Not all trees stood on tables. In some parts of Germany they hung from the ceiling, a custom some immigrants brought with them. 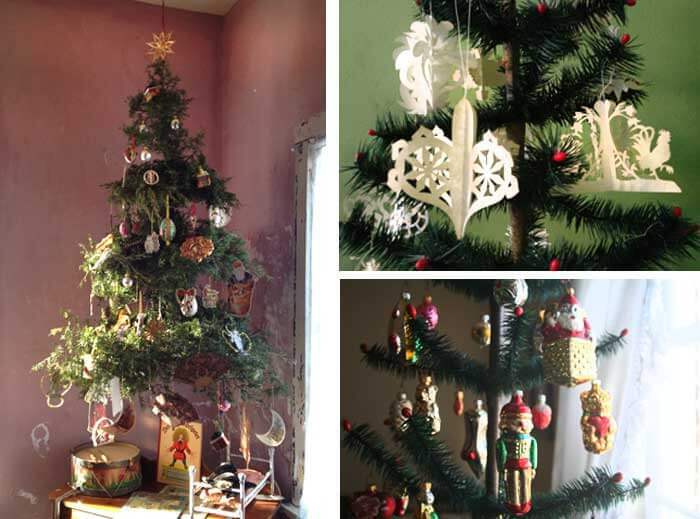 A “tree” of boughs affixed to a framework creates a lovely hanging tree, decorated with ornaments made of ribbons, straw, gilded walnuts, painted eggs, and paper ornaments or “scraps,” as would have been used in the 19th century. Federbaume (feather trees) were an early type of artificial tree made to resemble European firs, the preferred German Christmas tree. Firs are an ancient winter tradition, symbolizing eternal life. Their open shape is ideal for displaying ornaments. Feather trees are made from goose quills that have been dyed green and then wrapped with wire around wooden dowels so the sheared feathers resemble pine needles. They were first made in the 1860s when the unlimited cutting of firs for Christmas decorating was outlawed. Scherenschnitte, which are paper ornaments, scissor-cut by hand, beautifully decorate feather trees. The Scherenschnitte pictured above were made in Cole Camp, Missouri. Glass ornaments in the shape of fruits and nuts were first produced in 1847 by Hans Greiner at his glassworks in the small German town of Lauscha, which was then in the Duchy of Sachsen-Coburg. Greiner used a unique hand-blown process combined with molds to create his ornaments. By the 1870s Lauscha was exporting glass ornaments to Britain. They became popular when an illustration of Queen Victoria’s Christmas tree, decorated with glass ornaments from Prince Albert’s native Germany, was printed in the newspaper. The same illustration also popularized the Christmas tree. In the 1880s F.W. Woolworth discovered Lauscha’s Glaskugein during a visit to Germany and imported them to the United States.